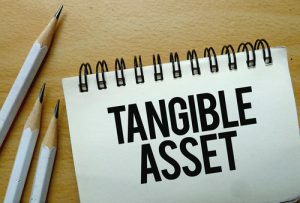 Tangible assets have a physical form, but that doesn’t mean they’re always easy to see, access, or identify. A tangible assets investigation is a specialized search that requires extensive resources and attention to detail. Whether you are seeking information about tangible assets as they relate to divorce proceedings, litigation, executive background checks, negotiations, or otherwise, your investigation will be tailored to your needs by the professionals at ASG Investigations. In some cases, you may not even know what tangible assets you’re seeking. In a divorce, for example, one person may be convinced that their soon-to-be ex is concealing assets, but are they in the form of cash, real estate, or stocks? The information uncovered by an investigator is thorough and provides confirmation about whether a person or entity is being honest about the equity, wealth, or valuables that exist in a person’s name and the financial interests they have. The specificity of a professionally conducted asset search is such that not only will you learn what kind of tangible assets a person has, but the locations of the accounts and, potentially, their balances. Through a tangible assets search, a private investigator not only uncovers capital, but also debt. Does the party in question have judgments, liens, or bankruptcies? If their financial standing could have any effect on the decisions you need to make and your own financial interests, the information uncovered in a tangible assets search is invaluable. Retaining the help of a private investigator means you will get the full story about a person or entity’s tangible assets to support your litigation, add credence to your business matters, or provide evidence for personal matters. After all, someone else’s assets can be the difference between success or failure for you, a healthy divorce settlement and one where you have been cheated, a worthwhile lawsuit or a waste of time and money. A tangible assets search, ultimately, provides solid proof of physical assets. And if someone is hiding assets from you, the logical question is: Why? What motivation is there to conceal important things that you should know about? Someone may seem trustworthy and forthcoming, but you won’t know for certain if a person or entity is being transparent without a complete tangible assets investigation. The experienced private investigators at ASG conduct tangible assets investigations that are thorough and discreet. When you need a complete picture of someone else’s financial standing to determine whether they are being forthright with you or potentially putting you in financial jeopardy, a professional investigation will gather the evidence and information you need. Find out whether it’s worth your time and effort to sue someone, whether knowledge of tangible assets can support your ongoing litigation, or whether your divorce could go in a completely different direction because hidden tangible assets have been uncovered. Get the answers to all your questions with the help of our Michigan-based private investigations group. Our investigators have the expertise in how assets are titled, deeded, and moved, both nationally and internationally. Confirm the existence of assets, identify concealed assets, and more with the help of ASG. Contact us today to confidentially discuss your situation and learn more about tangible assets investigations.